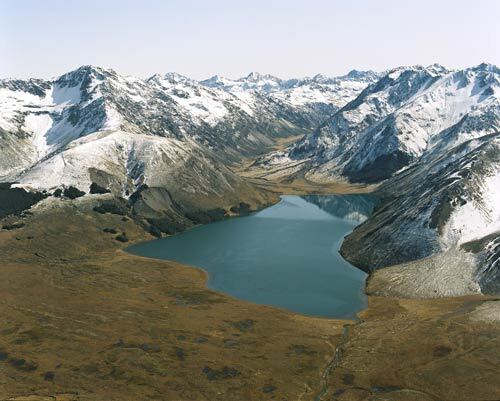 Lake Tennyson, in the headwaters of the Clarence River, is a small glacial lake on the eastern edge of Nelson Lakes National Park. The mountain ranges are made of hard greywacke. The lake is edged by a broad moraine – a ridge of rocks and debris, left by a glacier that previously filled the Clarence valley. The moraine surface is studded with many small tarns (glacial ponds), which fill holes left by blocks of melting ice.